Anita sports bras, excellent fit and maximum support for active ladies, sportswear made with breathable materials. Finding the perfect sports bra is half the battle to keeping active, with the Anita Active wear you can lead a healthy lifestyle and promote good breast health. The plus size lingerie is constructed with innovative hydrophilic materials, it`s kind to skin leaving you to exercise in comfort. 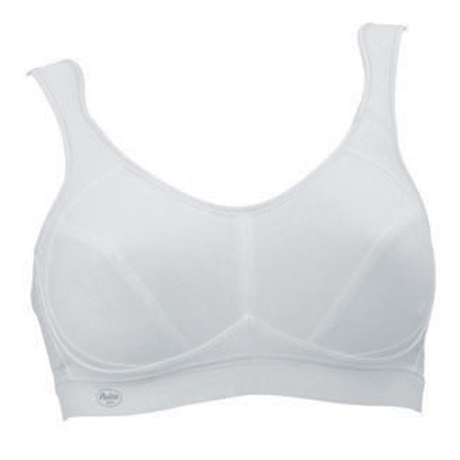 Anita Active bras are available from 30B to 42H. Anita Active do not make double cup sizes eg: DD,FF,GG. This makes the cups slightly smaller so we would therefore suggest the next cup size up (E,G,H).